If your wall space is already filled with art or you don't care to make any more holes in the wall, consider these cool alternate ways to display your artwork. A simple solution for displaying art is to install a narrow shelf that can be used to set pieces on. 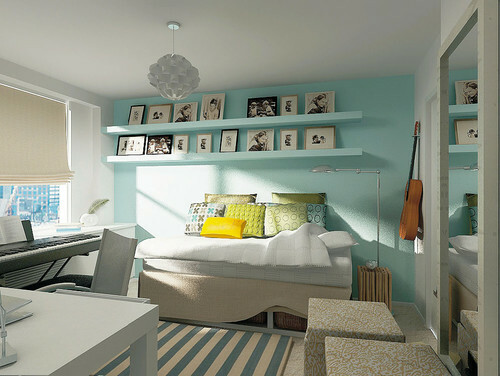 Using these shelves, you can easily alternate the art without having to make new holes in the walls. Shelves can be made with narrow boards, or siimply by using a wide piece of crown molding. 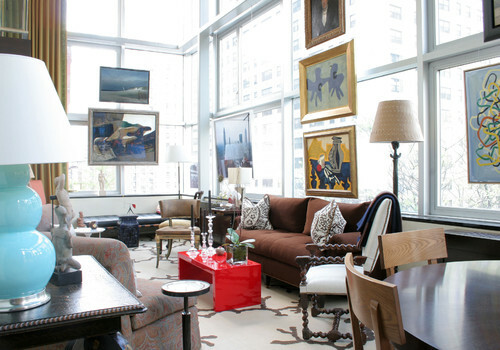 You can avoid a cluttered look by framing all the pieces on the ledge in the same way. The pieces can lean on the shelf, and you can overlap the edges of the frames to add a bit of interest if there are a lot of pictures. When placing your pictures on the shelves, try to put the bigger pieces on the lower shelves to keep the display balanced and not top heavy. 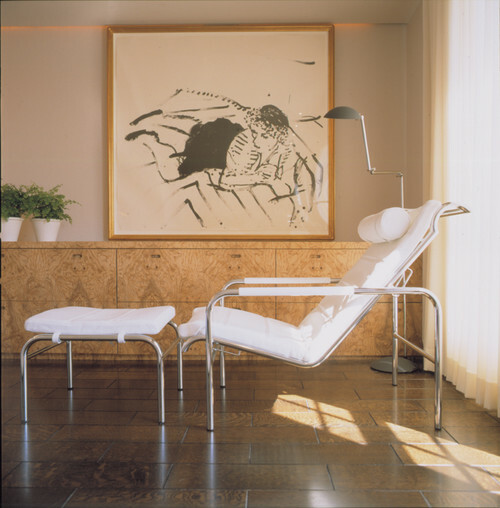 Large artwork can be displayed on easels in a corner of a room, provided the room is big enough. 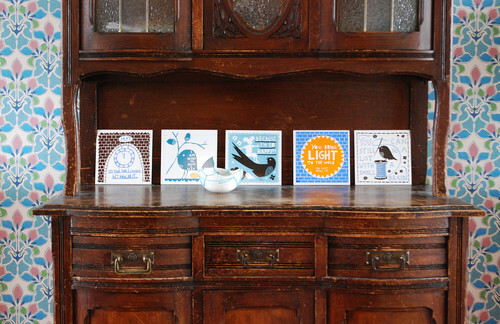 Small easels can hold small prints or photos on a shelf,or even a side table. 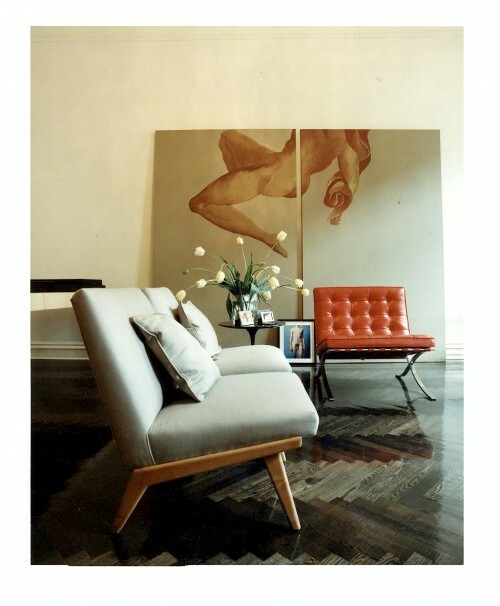 Mount your art inches above the floor for major impact. Or, lean dramatic paintings against the wall. Place paintings on console tables leaning against the wall. Display art on open wall shelves -- one level or multiple levels. Hang art from picture molding. Homeowners of historic homes and college students living in dorms are likely to be familiar with picture molding. 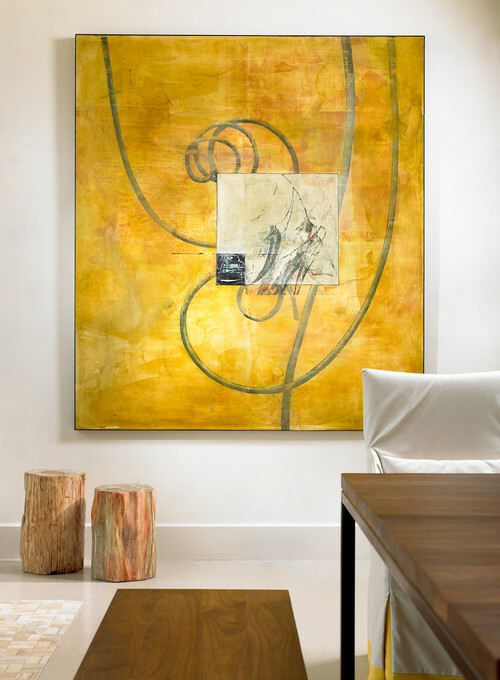 Often installed just a few feet from the ceiling, this allows art to be hung along plaster walls without ever needing to add holes. This offers the chance to get creative with what you hang it with. While simple picture wire will do, why not take it to another level with rope, ribbon, chain or a cloth cord cover? If you have furniture with nooks, take advantage of the framing effect and display whimsical, elegant art or word art themed to the room. If you have a bank of windows, consider displaying on the windows where appropriate as in the below photo. Place artwork on the floor leaned against the wall. Experiment with furniture groupings and keep it balanced. Display art on console tables leaning against the wall. 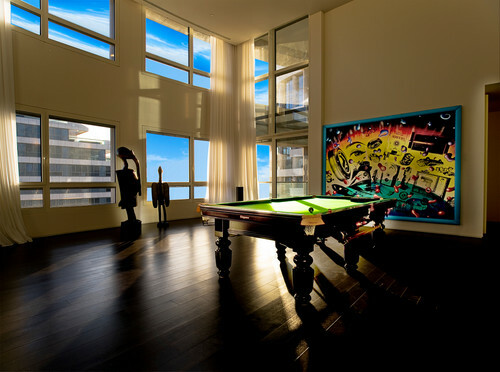 Here, a dramatically large piece of art is hung only inches above the floor. Open shelving creates visual interest especially with black and white artwork. 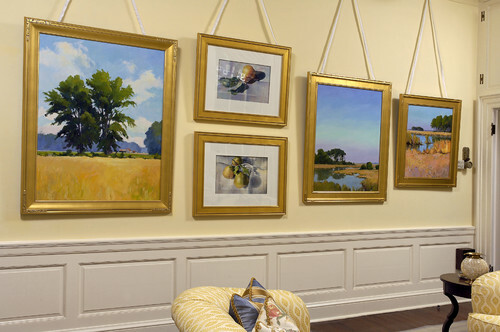 Hanging art from picture molding offers lots of room for creativity. Art displayed in a nook. Art hung on a bank of windows makes for an unusual and interesting display. 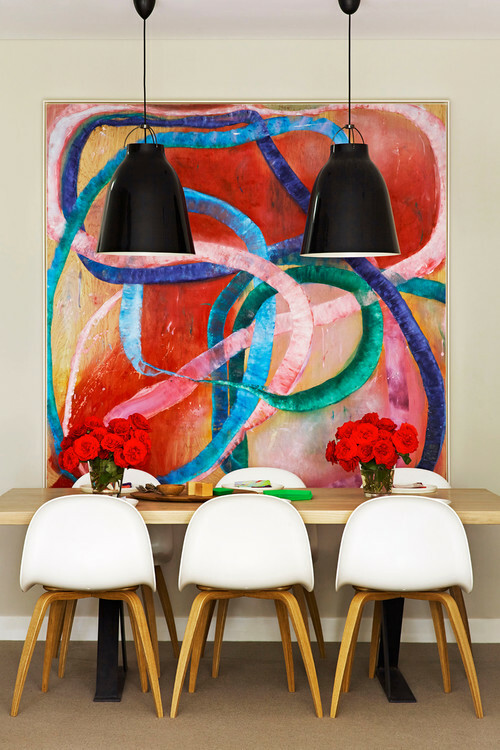 This large, bright abstract hung close to the floor becomes the focal point of this contemporary dining room. A very bold and dramatic abstract is displayed low to the floor and becomes a strong focal point of this contemporary dining room.